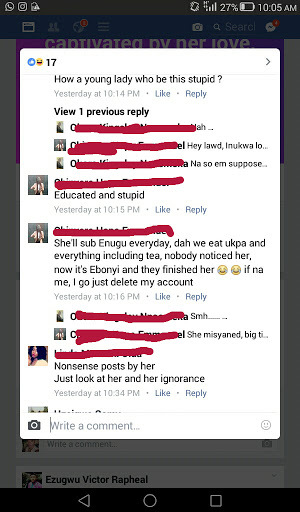 Home / Tatafo / Facebook user Blasted For Insulting Ebonyi State People!! 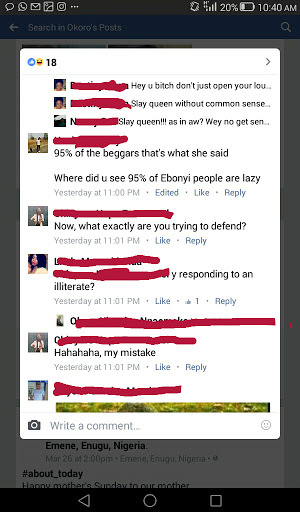 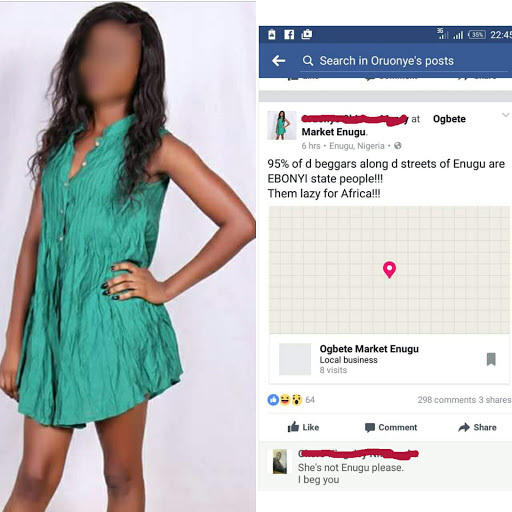 Facebook user Blasted For Insulting Ebonyi State People!! 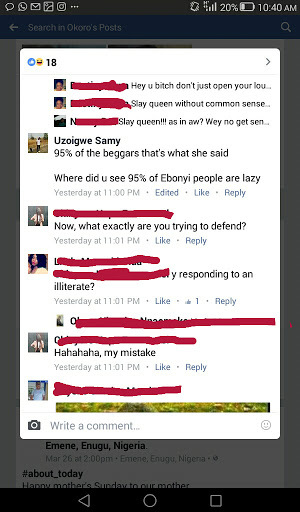 Na so this Facebook user just enter her wall this morning come write say " 95% of the beggars along the streets of Enugu are EBONYI state people, dem lazy for Africa". 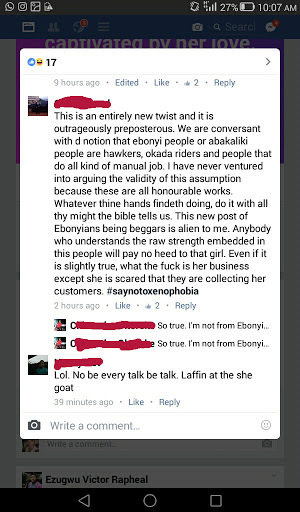 She even put the Ebonyi for capital letters. 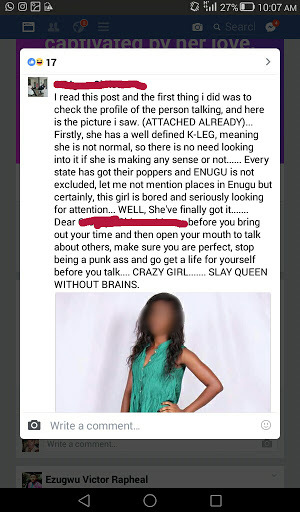 why hidding the names of the people that blasted her na... that babe is a big fool, the sperm her father used in impregnating her mother is total waste.